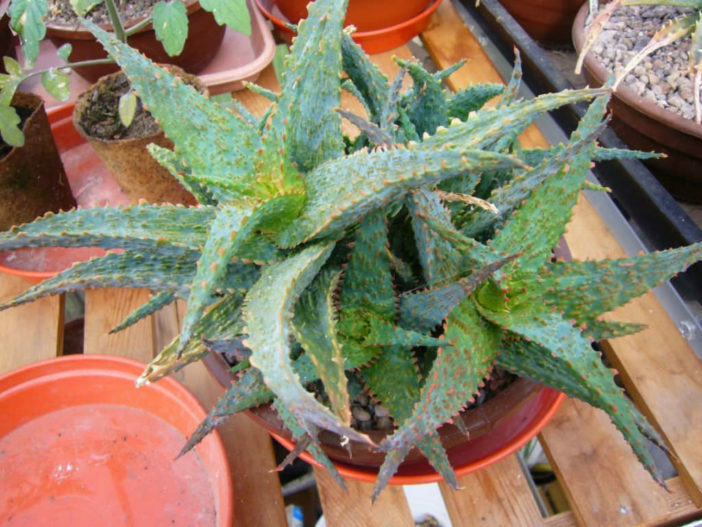 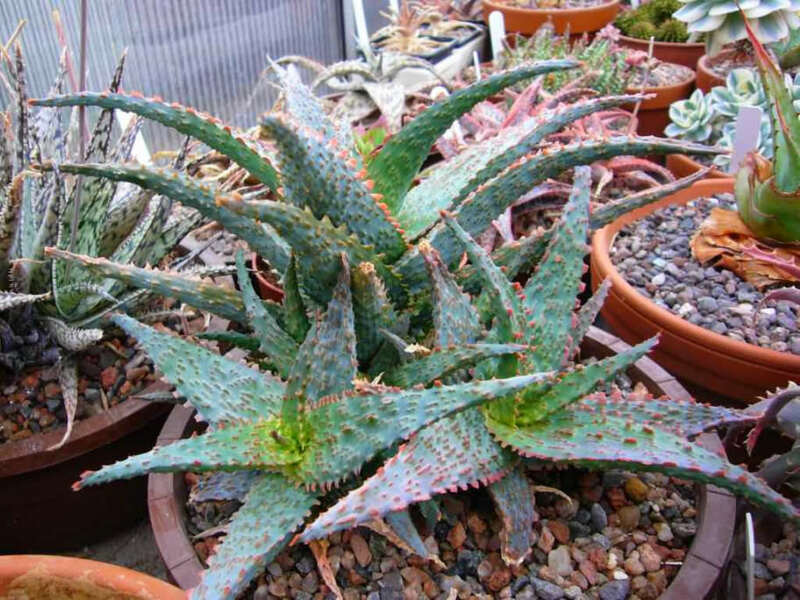 Aloe ‘Viper’ is a wild looking Aloe that forms a cluster of upright, up to 1 foot (30 cm) tall and wide rosettes of upright, bright green leaves that have raised orange-red bumps running longitudinally on all surfaces. 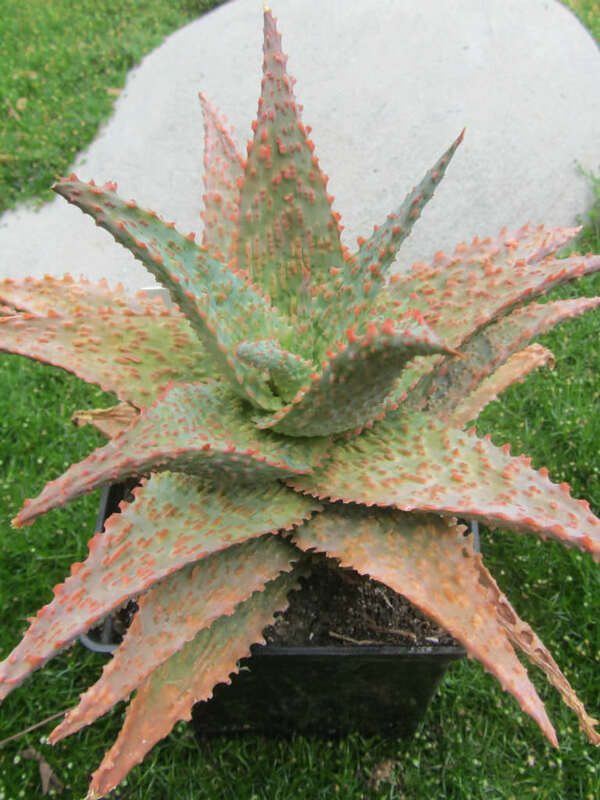 The flowers are orange, not much taller than the foliage and appear in winter. 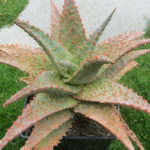 Aloe ‘Viper’ is one of the Kelly Griffin fancy-foliage hybrids that is being sold by Xeric Growers Nursery. 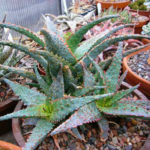 As with many of Kelly’s hybrids, this plant involves the crossing of several species over a number of generations. 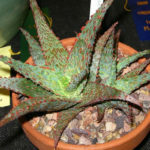 Xeric Growers notes the inspiration for the name ‘Viper’ was that “it just looks like it is bleeding from every orifice. 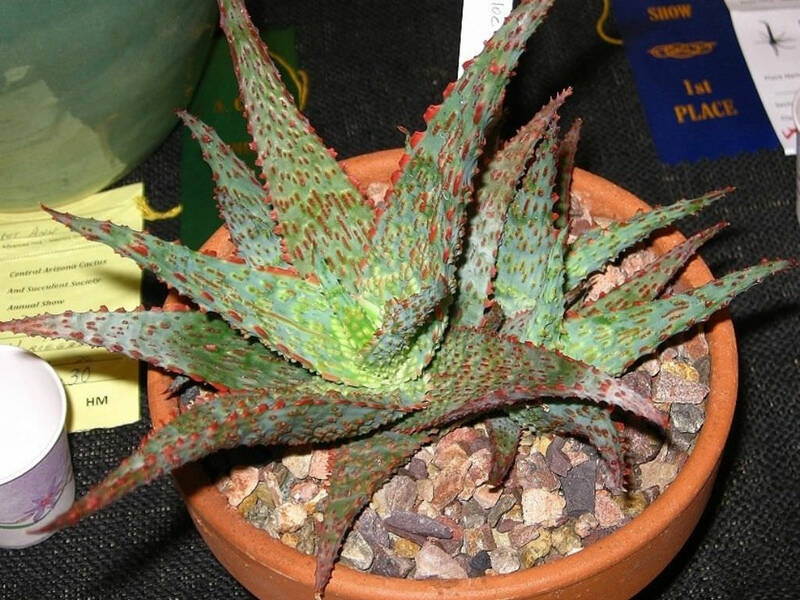 The raised red bumps appear to be erupting from the bright green leaves as if the plant had been injected with a deadly venom and is about to explode”.